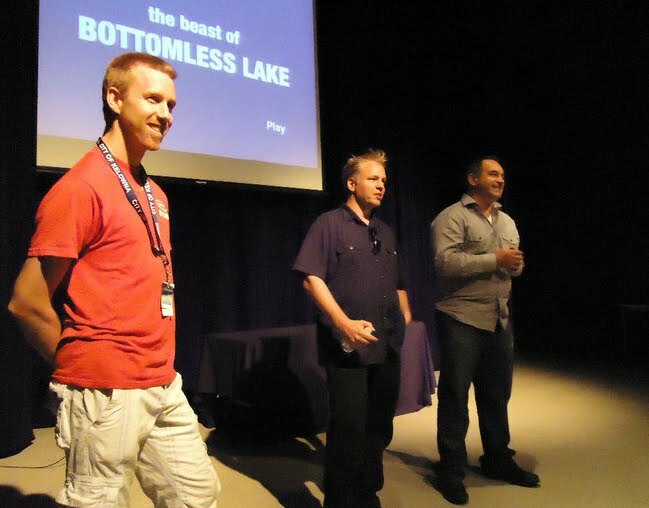 Late Sunday night at the Gala Closing Party of the Okanagan International Film Festival - hours after the awards dinner (because there was still one film yet to screen at that point) - The Beast of Bottomless Lake won the People's Choice Award. At the awards dinner we were nominated for Best Canadian Independent Feature which went to Taylor's Way. 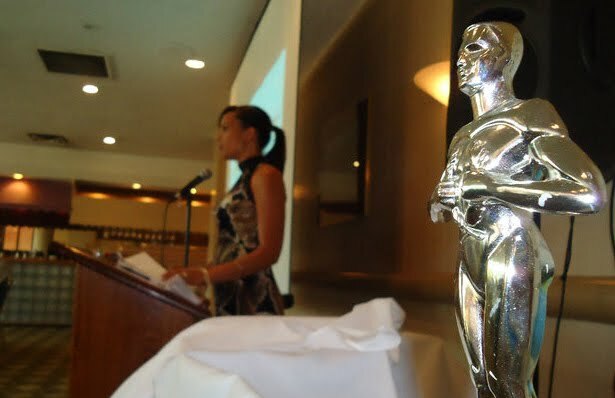 We went from the dinner to our second screening to the gala and waited with baited breath, though once again we had a stong hint from organizers that we really should be present. So yes, long story short, we won. Yay!!! 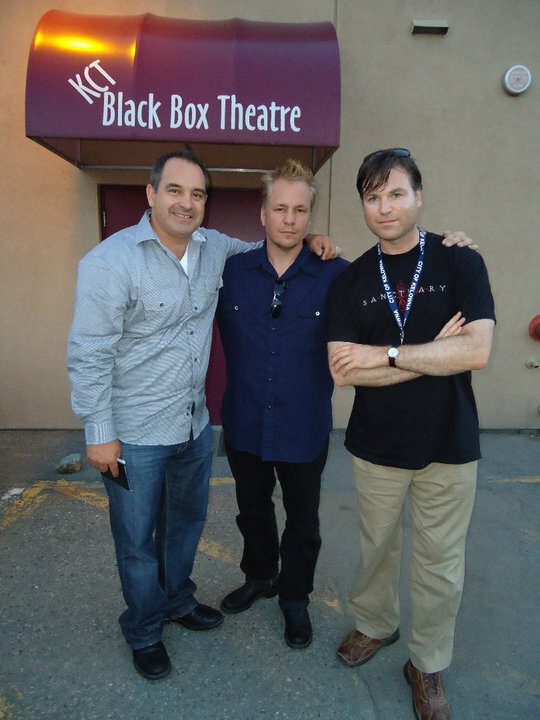 Outside of the second screening, Craig & Kennedy with Paul Armstrong, producer of Everything's Comin' Up Rosie which won Best Canadian Short Film. September 6, 2014 at 3:39 a.m.